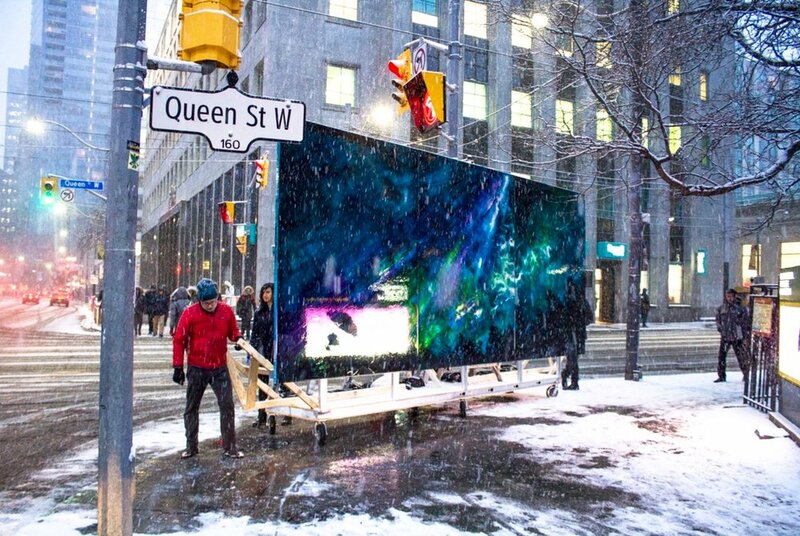 Toronto-based artists Steve Driscoll and Finn O'Hara met on Matters of Size. Driscoll felt that his large landscape paintings which use urethane to deploy pigments across vast panels lacked a sense of scale when appearing as reproductions in print or online. The desire to forego the typical on-site gallery shot triggered a creative collaboration with photographer O'Hara. 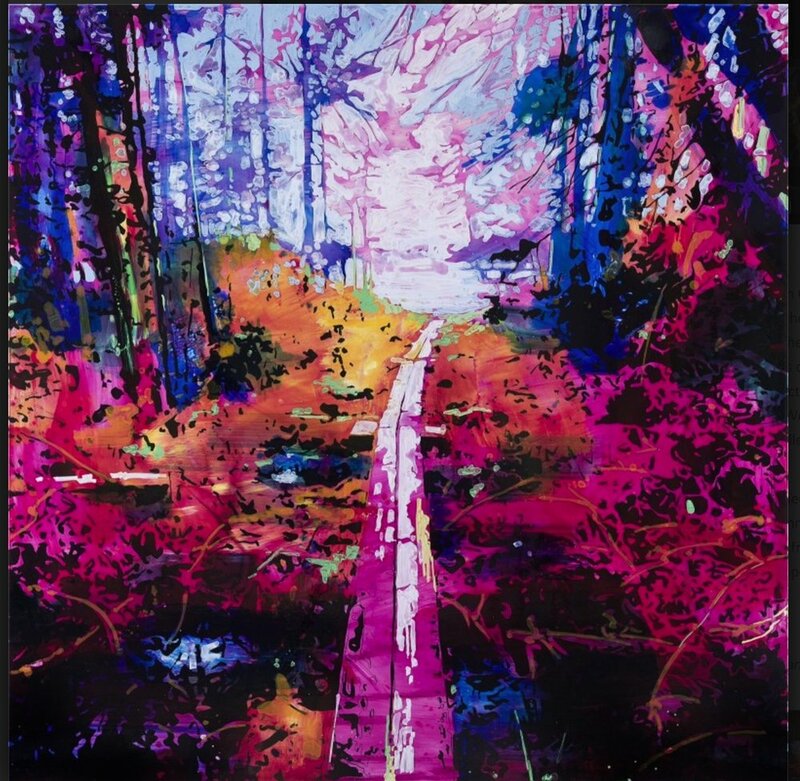 The paintings themselves are often based on photographs taken during Driscoll's many camping trips, yet they are always created in the studio. In front of O'Hara's lens, these dreams of nature are returned to the reality of the woods or the sunny shores of the beach. At times, the photographs make the paintings seem immense as they loom over the figures in the foreground, or even threaten to topple on the set crew. The relationships between the photographs and the paintings in Size Matters is purposely jarring a schism always exists between the landscape setting in the photograph and the scene depicted in the painting. The sheer peculiarity of finding a large painting out of context that is off the museum or living room wall -mischievously removes the airs of white glove handling. Driscoll and O'Hara allow paintings to play hooky and indulge as interlopers within multi-layered photographic narratives. Presented together and as one within the other painting and photography show us that size really does matter and the journey to this understanding can be fun.